Section 21A of the Banking Regulation Act, 1949, which prohibits courts from re-opening any transaction between a bank and its debtor on the ground of excessive rate of interest, has been held to be not applicable to agricultural debts in States where State Debt Relief Acts are in force. This was laid down by a Supreme Court bench comprising Justice R.F Nariman and Justice Navin Sinha in a petition filed challenging the validity of Section 21A. The judgment authored by Justice R.F Nariman is highly enlightening with its rich and dense discussions on the principles of interpretation of legislative entries, legislative competence, and harmonization of entries. Argument of lack of legislative competence to enact Section 21A. The section immunes loan transactions by banks from the Usurious Loans Act, 1918 and/or any other State legislation relating to indebtedness, and then declares that no such loan transaction shall be reopened by any court on the ground of charging of excessive rates of interest. The petitioner contended that Section 21A denied protection to agricultural loans from excessive interest rates, leading to severe rural indebtedness, resulting in a total number of 2,56,913 farmers committing in India between the years 1995 to 2010. The edifice of petitioner’s case was built upon a seeming conflict between Section 21A of Banking Regulation Act and Debt Relief Acts enacted by various states. The legislative source for Banking Regulation Act is Entry 45 of List I (“banking”), whereas the State Legislature derive competency to enact Debt Relief Acts from Entry 30 of List II(“relief of agricultural indebtedness”). According to the petitioner, Section 21A of the Banking Regulation Act, to the extent it immunizes agricultural loans from judicial intervention on the ground of excessive interest, trenched upon Entry 30 of the List II. Since ‘relief to agricultural indebtedness’ was an exclusive subject for State Legislature, Parliament cannot legislate upon the same,and hence Section 21A was ultra-vires insofar as it applied to agricultural debts- this was the gist of petitioner’s argument. Applying the test of “pith and substance” the Court held that Section 21A fell within the scope of Entry 45 of List I. Based on the settled principle that legislative entries should receive widest possible interpretation, it was held that entry relating to “banking” covered provisions protecting loan transactions from judicial intervention. There can be no doubt that a law relating to indebtedness of a debtor to a banking company and the interdict against a court reopening any such transaction, on the ground that interest charged by the banking company is excessive, would relate to the business of banking, the Bench explained. It was noted that State Debt Relief Acts not only relate to scaling down of excessive rates of interest, but also, in certain cases, grant a waiver of the interest, either wholly or partially, and of the principal sum of the loan. The bench also took note of judicial precedents which settled that the whole gamut of money lending and debt-liquidation was within the State’s legislative competence ( Fatehchand Himmatlal & Ors. v. State of Maharashtra etc., (1977) 2 SCC 670 and Pathumma and Ors. v. State of Kerala and Ors. (1978) 2 SCC 1). Hence, the bench held that State Debt Relief Acts fell within Entry 30 of List II. In this regard, it is worthy to note that the Bench rejected that argument made by Centre that relief of agricultural indebtedness should be read as confined only to loans advanced by money-lenders. This argument was on the basis that the expression “relief of agricultural indebtedness” in entry 30 was preceded by the expression “money lending and money lenders”. Hence, it was argued that “relief of agricultural indebtedness” should take colour from the preceding expression and should be confined only to advances made by money lenders and not banks. Thus, it was attempted to demonstrate that there was no conflict between Section 21A and debt relief laws. However, this argument was rejected holding that the rule of noscitur a sociis, or taking colour from the former part of the entry, was not applicable for interpreting the text of constitution. It was also observed that accepting this argument meant that, a farmer would then be protected only against moneylenders, but not banks, which would denude the entry of most of its content. Having traced the legislative source of Section 21A to Entry 45, List I and that of Debt Relief Acts to Entry 30, List II, the Court embarked upon the endeavour to harmonize the entries, following the settled law that it was incumbent upon the Court to harmonise the entries, if possible, by giving effect to both and not rendering any one of them otiose. “..indebtedness itself is only one species of banking and agricultural indebtedness is a sub-species thereof. The species of indebtedness is within Entry 45, List I, whereas the subspecies of agricultural indebtedness is within Entry 18, List II. It is only relief of agricultural indebtedness, which is a sub-sub-species of indebtedness, which is relatable to Entry 30, List II, the Bench observed. The Bench also noted that agriculture was predominantly a state subject as per the constitutional scheme. Hence, it was observed that the two entries are best harmonised by giving effect to both. However, Section 21A, insofar as it applied to agricultural debts, was found trenching upon the legislative entry pertaining to debt relief laws, which was an exclusive domain of State Legislature. Since the legislative field of relief to agricultural indebtedness was ‘occupied’ by laws enacted by State Legislatures, the incidental encroachment by Central legislation cannot be tolerated. “It is clear that where Section 21A of the Banking Regulation Act incidentally trenches upon the State Debt Relief Acts, enacted under Entry 30, List II, so far as relief of agricultural indebtedness is concerned, where there is State legislation on the same subject matter which directly clashes with Section 21A, Section 21A will have to give way to the State Debt Relief Acts insofar as relief from agricultural indebtedness due to banks is concerned. 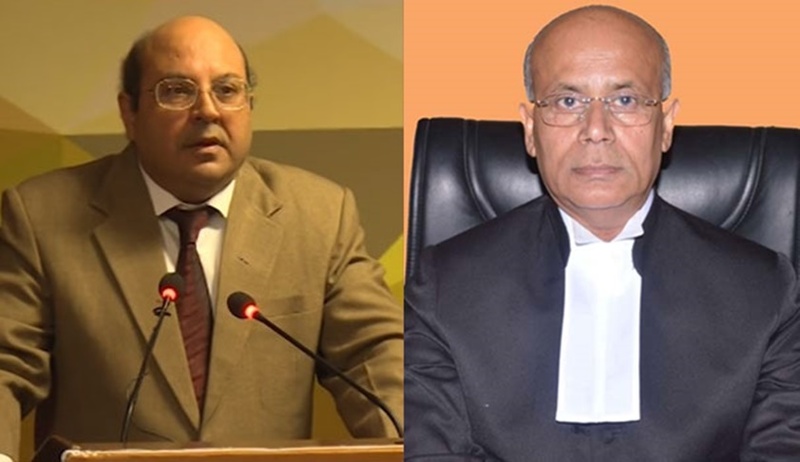 The non-obstante clause in Section 21A cannot override a State Debt Relief Act in this situation, as Parliament cannot give itself supremacy over State legislation where none exists under the Constitution”, said the Bench. Declaration that ex-parte judgment without much discussion has no binding value. The judgment is also noteworthy for its pronouncement to the effect that an ex-parte judgment rendered in a cryptic fashion without much discussion is ‘per incuriam’, having no binding force. This was done with regard to the judgment in State Bank of India v. Yasangi Venkateswara Rao (1999) 2 SCC 375. The said judgment upheld Section 21A holding that it was not linked with Entry 30 List II, and was solely referable to Entry 45, List I, by reversing a decision of Andhra Pradesh High Court which had struck down Section 21A for encroaching upon Entry 30. The decision in Yasangi was rendered by a co-ordinate bench of two judges, and the respondents contended that it was binding on the present bench. However, the bench did not follow the said decision. It noted that the said decision was rendered solely on the basis of arguments of the Central Government, as the other side had not appeared. Also, the said decision did not have much discussion, and did not analyse the merits of reasoning in the High Court judgment. So, the Bench formed the opinion that the said decision had no ratio, and was lacking binding value. "...where there is a detailed judgment of the High Court dealing with several authorities, and it is reversed in a cryptic fashion without dealing with any of them, the per incuriam doctrine kicks in, and the judgment loses binding force, because of the manner in which it deals with the proposition of law in question. Also, the ratio decidendi of a judgment is the principle of law adopted having regard to the line of reasoning of the Judge which alone binds in future cases. Such principle can only be laid down after a discussion of the relevant provisions and the case law on the subject. If only one side is heard and a judgment is reversed, without any line of reasoning, and certain conclusions alone are arrived at, without any reference to any case law, it would be difficult to hold that such a judgment would be binding upon us and that we would have to follow it, the bench said. It was found that the Parliament had legislative competence to enact Section 21A, from Entry 45, List II. The Court did not dwell on the challenge on the basis of violation of Article 14 of the Constitution of India for want of necessary pleadings. Hence, the validity of Section 21A was upheld, but it was declared to be not applicable to agricultural indebtedness wherever State Debt Relief laws were in existence. "We declare Section 21A of the Banking Regulation Act to be valid as it is part of an enactment which, in pith and substance, is relatable to Entry 45, List I of the Seventh Schedule to the Constitution. However, insofar as Section 21A incidentally encroaches upon the field of relief of agricultural indebtedness, set out in Entry 30, List II, it will not operate only in States where there is a State Debt Relief Act which deals with the subject matter of relief of agricultural indebtedness, where the State Debt Relief Act covers debts due to “banks”, as defined in those Acts. In States where the State Debt Relief Act does not apply to banks at all, or applies only to certain 101 specified banks, Section 21A will, in the former situation, apply in such States, and, in the latter situation, apply only in respect of loans made to agriculturists where such loans are given by banks other than the banks specified or covered by the concerned State Debt Relief Act, as the case may be".